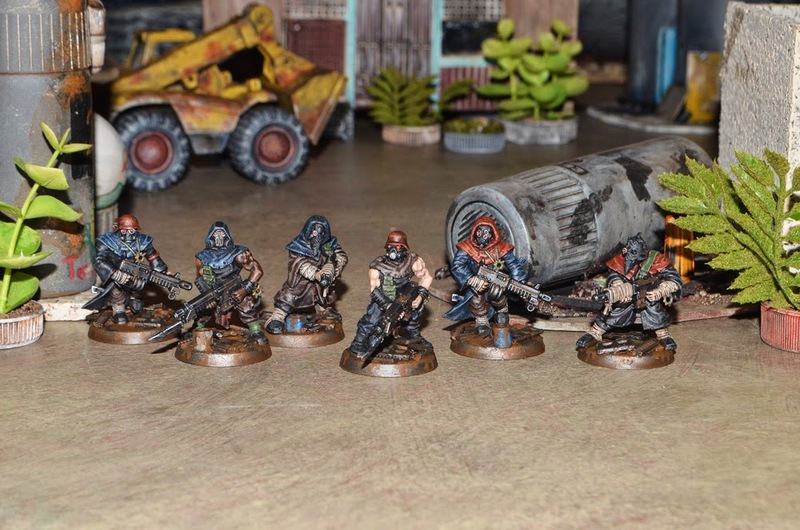 Nate Miller's Tabletop Games: Scrap Dog Raiders Finished! I finished up the first squad of Scrap Dog raiders today. I'm really happy with the way they turned out. The bases are similar to my Bloodborn pirates which is good because I play to combine my pirate crews together to make a bigger army for larger games. I've got another 14 of these guys to paint and a light mech for the force as well so I better get on it. I also created a No Limits army list this week for my pirate forces so hopefully we will see a pirate army in the field soon.